The traditional approach to product reliability has largely been based on the statistical analysis of an item’s failure data. Analysts would predict the probability of a part/system failure from the percentage of times that an item failed either during testing or from historical use in the field. Eventually, statistical distributions were fit to an item’s time-to-failure data, allowing for the estimation of more informative reliability characteristics (e.g., characteristic life, rate of failure, etc.). While statistical methods have been unquestionably valuable, and remain popular to this day, some have criticized the fact that they do not address the actual mechanisms of failure. 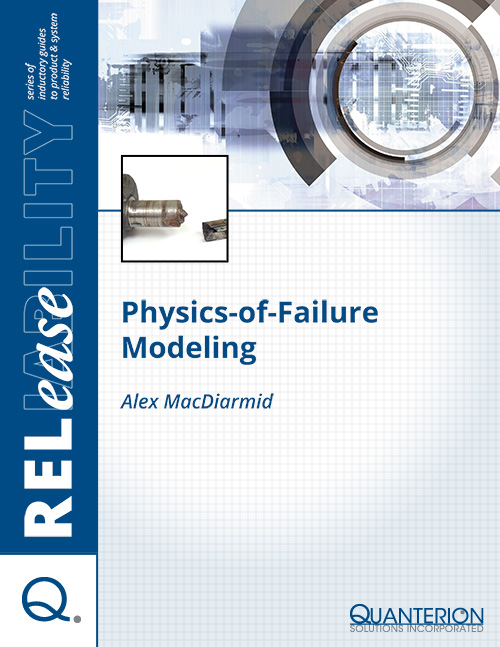 Though one can determine the probability of an individual failure mode’s occurrence (i.e., modal failure rates) using statistical methods, these estimates still do not consider the underlying root cause of the failure. Over the course of time, reliability practitioners began to develop new physics-based techniques to alleviate these concerns.